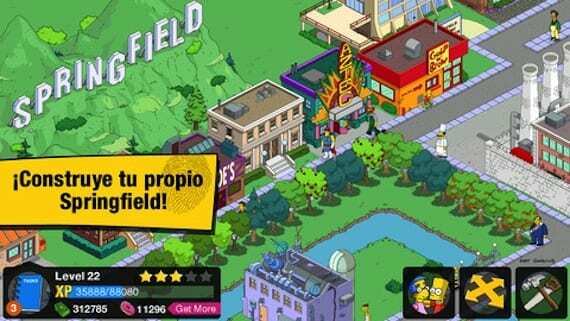 The addictive game created by Electronic Arts, The Simpsons Sprinfield is updated with new content for those who have already reached level 26 game and wanted to continue the adventures in his small village in your iOS device. 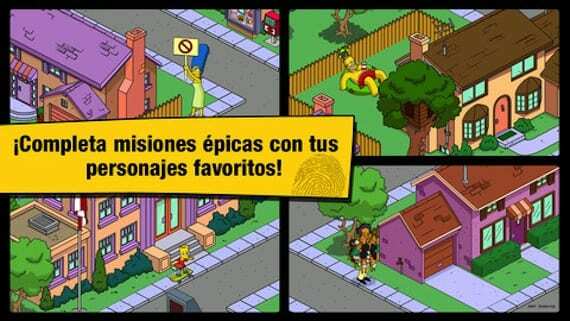 The game for those who still do not know it is kind of the famous game The Sims with the same company, with the peculiarity that this time will handle most famous family of Springfield, that after a nuclear explosion up to you rebuild the city gradually by trial and get all the characters, get experience to level up and money and donuts to invest in new objects. The game is also social because you can visit the cities of Origin friends to get more things. The novelty of this update is to add new targets for those who have already reached the difficult level 26, since every time you level increases the difficulty and time, will add the chief's house Wiggun including the character of his son Ralph with his new specific tests, also available police car to patrol the streets and finally new missions as a health crisis of obesity where Lisa debelaras help to combat it. This update will cover the Valentine pueblas available until yesterday, Gone are the poblem suffered this application due to excess that led users to be removed from the App Store a while until I corrected the defect due to frequent server crashes . If you do not enjoy this social game can be downloaded from the App Store for free by clicking the link below. If you want a fun time this is a perfect application to keep progressing with your friends. What do you expect to help the Simpsons family? Article The Simpsons: Springfield is updated with new content was originally published in News iPhone .